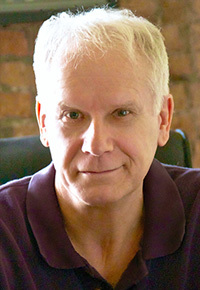 Steve Katz was formerly responsible for the development of original motion picture and television production for the international market for Xing Xing Studios in Beijing. Steve co-founded Pitch Studios and was Director of Development for that company. Steve also founded and directed Curious Digital in New York. He oversaw the original pilot for the animated Yee Hah, Doo Dah for Cartoon Network, Jerk Chicken for Nickelodeon and Antics (an ASIFA award winner) also for Nickelodeon. In addition to designing numerous music videos for various artists including Ray Charles, Tom Petty and the Heartbreakers, Bruce Springsteen and many others, He also served as Creative Director for Robert Wilson and Philip Glass for their opera Monsters of Grace. Steve also wrote the best selling film school textbooks Shot by Shot and Cinematic Motion.